Chocolate and cheese – my 2 favourite foods, and they seem to be a lot of other people’s too! 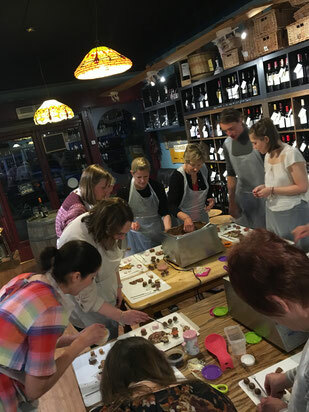 Come along and have fun making your own chocolates, and then sit down to relax and enjoy delicious cheese and biscuits provided by Dalling and Co – the fabulous deli in Kings Langley. It’s a fun and relaxed evening, something different for an evening out, either with friends, as a couple, or simply on your own.